Sometimes Monday can be a good day. 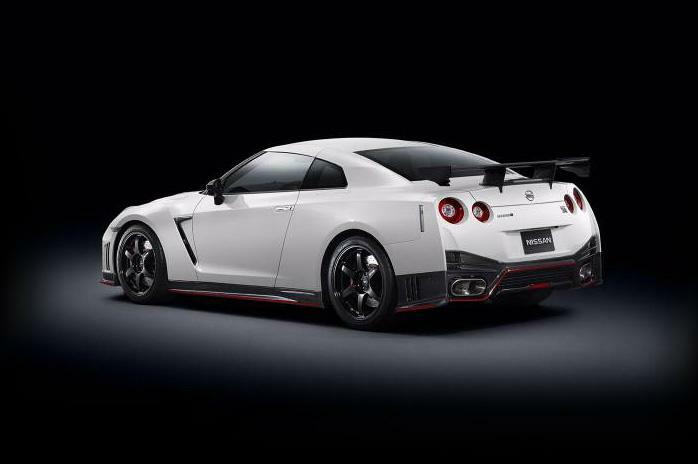 And thanks to leaked Nissan GT-R NISMO images and specs; today is going to be a very fine Monday indeed. What you see above, and just below, are believed to be the leaked images of the hugely insane, hard and fast GT-R NISMO. That’s right; the GT-R can get more extreme. What sets the NISMO apart from the standard GT-R? NISMO engineers bolted up a bigger turbocharger and re-worked the air intake and exhaust, adding 50 more horsepower and 27 more torques. Then the NISMO men fitted 20-inch wheels and wrapped them in 255/40RF-20 Dunlop SP Sport Maxx GT tires, according to Autocar. These embiggened tires are said to improve grip like never before. We don’t yet know for sure, but we believe the GT-R NISMO will also offer a ‘track pack’, which was designed by Formula One team Williams to improve Godzilla’s Nurburgring lap time. Optional kit adds carbon fiber body panels and a new front splitter complimented by a new rear spoiler. Not only does this kit drop the curb weight of the car by 143 pounds, it also improves aerodynamics, which decreases drag. All told, the GT-R NISMO is said to lap the ‘Ring in less than 7min 10sec. As for pricing, reports are a bit less exacting. Rumors peg the price tag of the GT-R NISMO at around $200,000, which is more than double the current asking price for the ‘regular’ GT-R. Regardless, if you’re the kind of guy who has a large chunk of change lying around and hate having discs between your vertebrae, the GT-R NISMO is really the only car for you. The official images and specs of the latest GT-R iteration should be revealed this week at the Tokyo Motor Show. So be sure to check back for more.